King Kong Climbing Walls installed a freestanding digital freeform tower for the Craig Tara holiday park refurbishment. 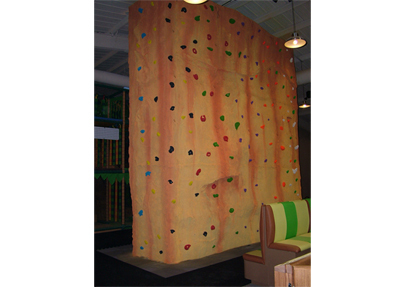 An excellent addition to the site this 6m high tower includes 90 sqm of climbable surface and an internal storage area which is accessed via the lockable door panel in the side of the wall. With 11 lines in total this new wall really brings the outdoors indoors with our premium replica rock finish.